The Mini Mesa 3-flame - a true masterpiece! 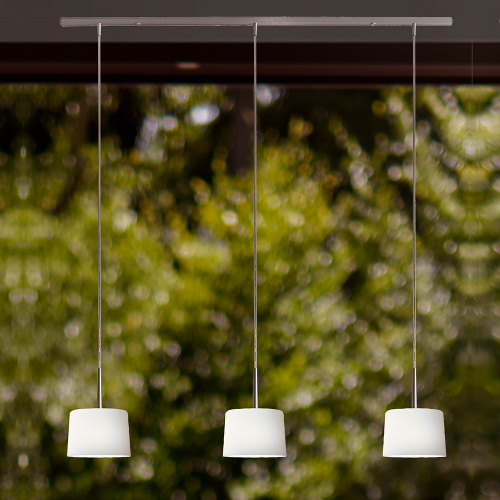 The mesa mini pendant light from Casablanca follows the philosophy of the company's founder and designer, Dieter K. Weis. Clear structures and contemporary details make the lamp a masterpiece. The lamp is an asset to any environment and thus finds its place in every room. Only the precise and high-quality workmanship makes the Mesa Mini but a true masterpiece. The opal glass is blown into shape and contemporary design highlighted by brushed aluminum.